​ In her shows geared for the younger set, Deb mixes playfulness with professionalism. While raising her children, helping raise her grandchildren, and working in various educational settings for over 40 years, she developed an innate respect and appreciation for children of all ages. Her performances increase awareness of our American culture with the use of traditional instruments such as the mountain dulcimer and limberjack, traditional American folk arts such as the "Crankie" and "String Figures," and traditional folk songs. Deb is expert at developing programs to fit your curriculum. She will often write songs to fit your needs. *** "You may not remember us... many years ago ... my son J. and I attended Music Together classes that you led in Delmar in a church on Kenwood Ave. When we attended J. was very physically active and wouldn't sit with me like the other babies/toddlers. His natural curiosity often made me nervous that I would be seen as the mom w/the wild child. I remember one day, just as we arrived, you said that you had tried to make the room safe for J. to wander. You also told me at some point that I shouldn't worry he was soaking in the music. You were right, and your flexible approach was greatly appreciated and all too rare. Just before J. turned three his behavior had changed, and he was diagnosed with autism. On the upside, his case is fairly mild (although it often doesn't feel that way) he is musically gifted, has perfect pitch, plays many instruments (he basically can decode them) knows all the ranges of each instrument in the orchestra and beyond, takes many music lessons, is in three bands, volunteers in the local philharmonic and loves going to classical music concerts and classic rock concerts too. Our home is overflowing with instruments--large ones! His 82 year-old piano teacher has said many times that J. is the best sight reader he has ever taught. J. had taught himself to play music by ear when he was about three, and I feared he would never agree to read sheet music. Thank goodness that didn't happen. So, why I am writing to you? I just wanted to let you know that we have not forgotten you. Your kind and generous treatment of J. and his mom has become even more meaningful over the years. Struggling with J. 's autism and anxiety is all too often made worse by well-meaning but inflexible adults. I spend more time than I would like to admit trying over and over again to explain J. 's quirks, how to best handle them and how to help him instead of punishing him for things he isn't fully in control of yet. (Showing them) That what is seen as being naughty behavior is actually a cry for help not punishment. ... the minor accommodations you made were a reflection of embracing his spirit rather than trying to break it. In other words, meeting him where he was." - Melanie E.
Deb offers interactive shows to fit into the annual Summer Reading Program theme or whatever your current theme might be. You can find descriptions and more here. Choose from programs such as Creepy Crawlers, Where in the World Are We, Exploring American Folk, Westward Ho, Call of the Wild: The Klondike Gold Rush, and more. All of these programs can include a power point presentation, if requested. Does your child love music? 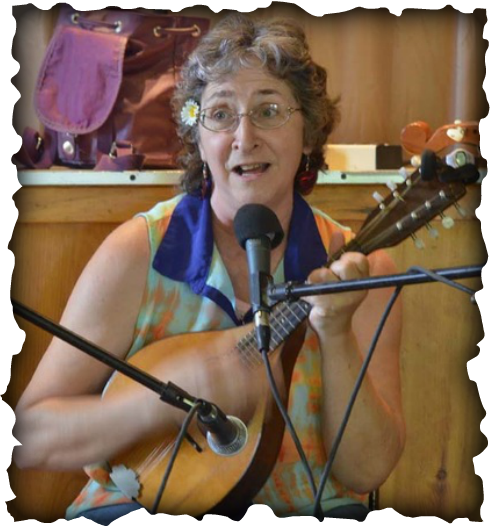 Deb brings along egg shakers, other percussion instruments and scarves and fills her set with some of your child's favorite songs.